It happens but once a year, and with a strike of luck, I was on Atauro Island for the annual Betelnut Festival. Thirteen people piled into a van to bump and bounce our way to the top of the island where the festival would begin. Two hours later we had finally arrived, 3,000ft above sea level and surrounded by jungle as far as the eye could see. 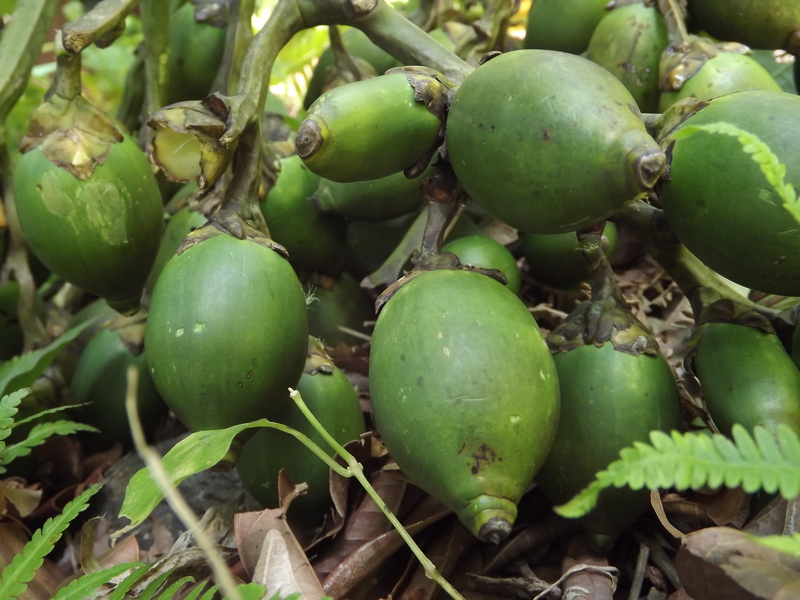 In the midst of the lush greenery local families were coming together to harvest the betelnuts from their tree. With a rope tied around their feet, local men scurried up the thin, branchless trunks before harvesting the betelnut in one fine swoop and sliding back to earth. Laughs were had when the white men were asked to have a go and were, admittedly, terribly uncoordinated. Men and women sat among the foliage carving plates, weaving bags, chatting among themselves. We moved on from one patch of jungle, dodging baby pineapples growing on the side of the path, and finally we reached a location I could never have imagined – amid the luscious palms and bushes of a forest thousands of feet above sea level were thousands of people picnicking, dancing, singing and selling goods and food at a huge makeshift market. What astounded me most was that these people had walked to the top with fruit, vegetables and fish on their backs. It took two hours for us to drive, I wonder how long it took them. I bargained with a few before taking a seat next to a rooster and indulging on red bananas, sugarcane and a delicious fresh coconut. 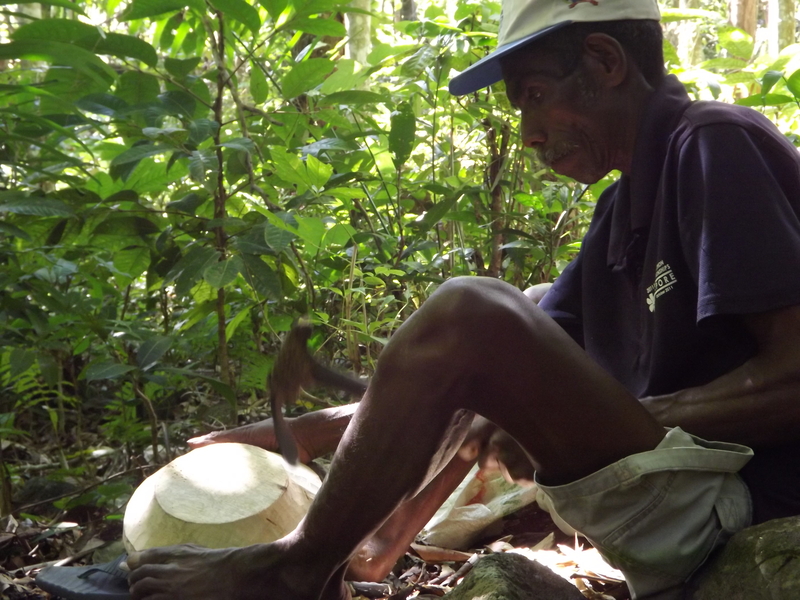 A Timorese man came to usher us along the path to eat lunch. 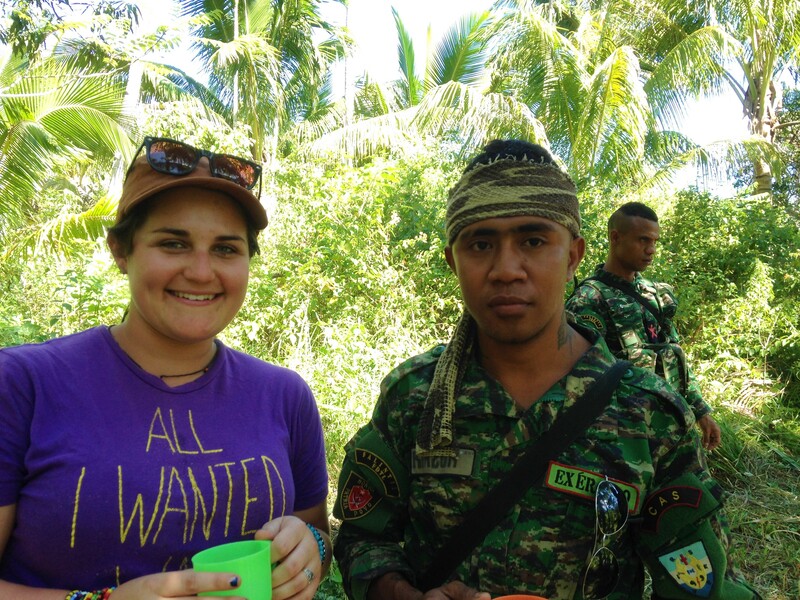 Little did we know that we were being invited to a prestigious lunch with the military, police, priest, nuns and tribal elders of the island. After prayer, we were invited to eat first from plastic plates, surrounded by the most important people on the island. After the meal, palmwine, an alcohol made from fermented palm sap, was dished out. We stood drinking alcohol with armed army officers! On a treacherous slope, covered in slippery rocks, we began to descend the mountain on foot. Upon eventually reaching the next village, we were invited inside for coffee and locally grown popcorn, before heading to the football fields where we caught the first half of an inter-village soccer game. After a delicious dinner at the house of a local family, we took to the roads again and started our descent down the mountain just as the sun was setting over the horizon. Apparently that was when all the fun started.